This month’s update also consists of fixing a couple of bugs and overall performance improvement of the system. Agency users will now be able to construct a selective widget view on the dashboard. Key documents can be shared by the agency for a particular client. These documents can be accessed by the client via the client portal. 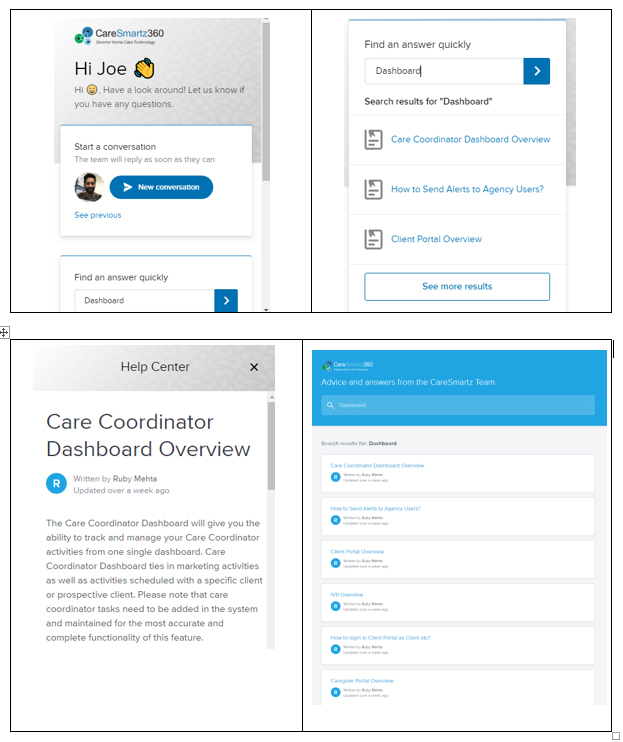 Agency Users will now be able to track the request updates from the caregivers on Open Shifts via a widget on the Dashboard. The request updates will be displayed for those shifts on which the caregiver had associated themselves. Detailed parameters are also created for the open shifts. A shortcut for the open Shift Manager page is displayed in the widget which can be accessed by clicking the View All link. The iOS/Android mobile applications are equipped with GPS verification which will enable the caregiver to clock-in and clock-out for a schedule only within the predefined threshold distance/time value set by the agency. A client billing type filter is added in the invoicing page which enables the agency to filter the clients on the basis of their billing cycle. 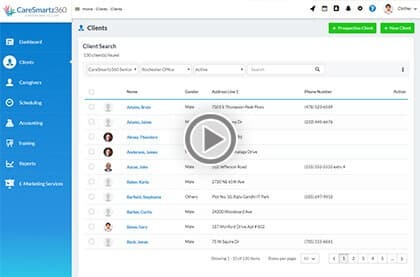 This feature will be the first selected in the respective client profiles. The Schedule Calendar now features the detailed statistics of the shifts scheduled by the agency with a global client filter view. 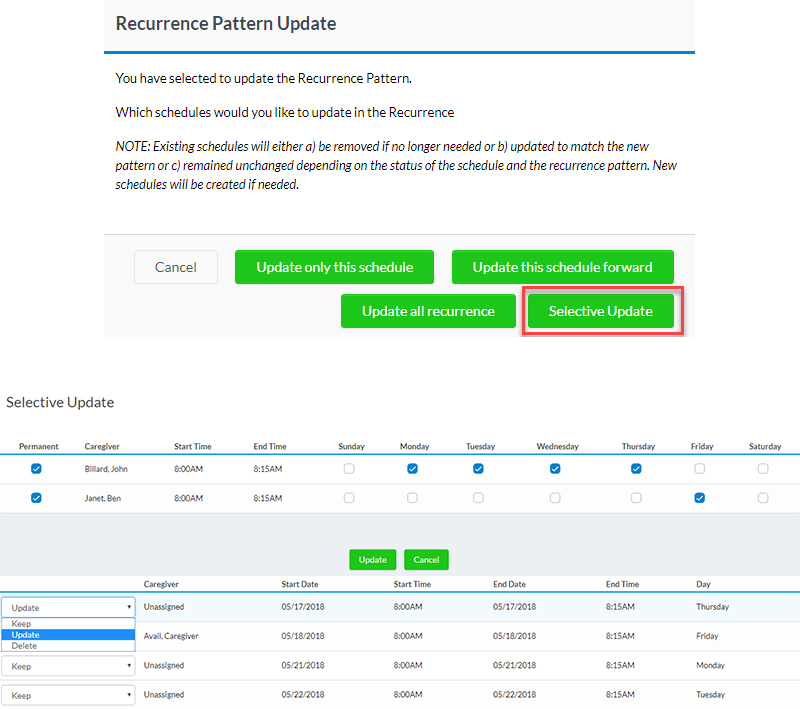 The open shifts scheduled under recurrence pattern can now be assigned to caregivers in a selective way, via selective update. 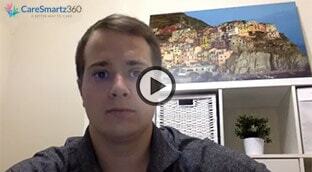 Help Articles and Live Chat has been enabled for the users to help them out in the hour of need. 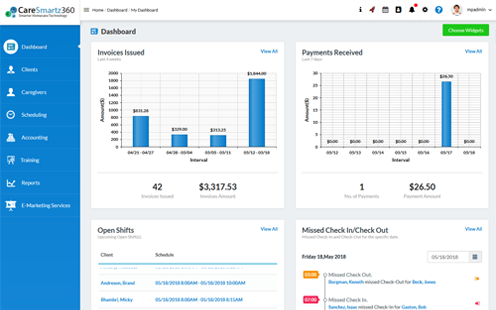 The portal now enables the users to easily match and assign a caregiver for the open shifts. 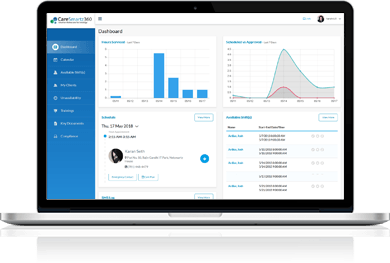 The new feature suggests caregivers on the basis of a score (calculated by matching the attributes of the client and the caregiver), and distance (of the caregiver from the client’s address), where the score is given a precedence over the distance by the system. The widgets on the caregiver portal showcasing graphical data, will now showcase the data for the past seven days from the present date(including). 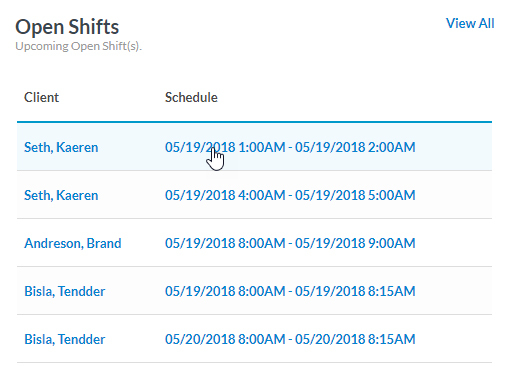 A new open shift(s) calendar page has been integrated in the Scheduling section for the agency users; the user gets the capability to globally view the open shifts scheduled for the agency.